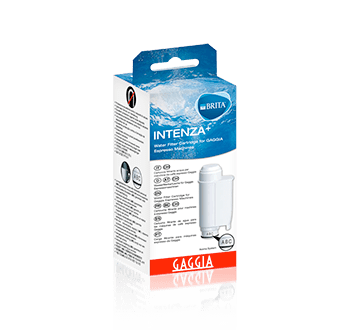 GAGGIA WATER FILTER INTENZA "BRITA"
GAGGIA WATER FILTER INTENZA "MAVEA"
1 bottle, 250 ml. 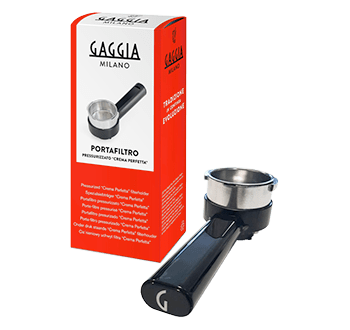 Suitable for all Gaggia Espresso Machines. 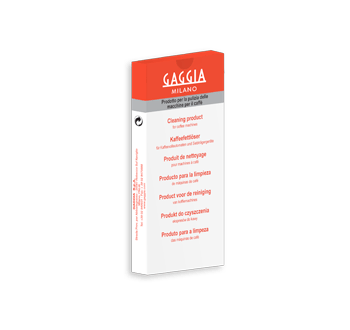 Kit with: 1 professional pressurized filter-holder «crema perfetta» with initial detail, 1 filter for ground coffee (for 1 or 2 cups), 1 ground coffee doser. 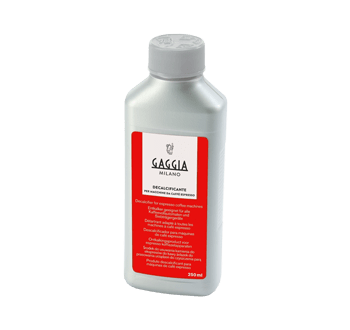 Suitable for the Gran Gaggia and Gaggia Viva ranges, and for Gaggia Carezza Style. 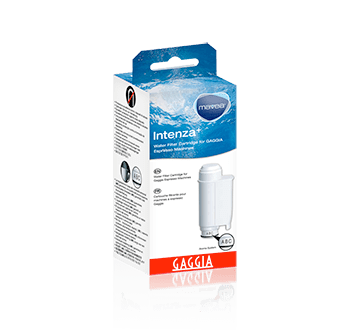 Water filter cartridge, compatible with Gaggia models: Accademia, Anima, Brera, Naviglio, Carezza, New Espresso, New Baby 06. Available only for Canada and the USA. 1 pack, 10 tablets. 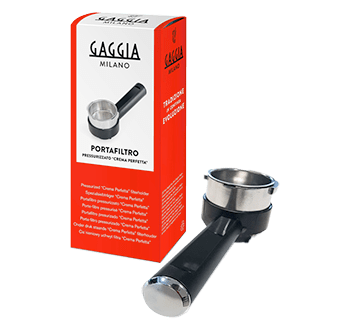 Suitable for all Gaggia espresso full auto machines.